Alderman Greg Mitchell has been a resident of the 7th ward for over 44 years. Born into a hardworking, blue collar, family in the Southeast Chicago neighborhood of Jeffery Manor, he is the third of four children, and as the only son, Mitchell inherited his tenacious work ethic and discipline from his parents. His father served in the US Marine Corp and retired from the US Postal service and his mother was a committed housewife who worked part-time. 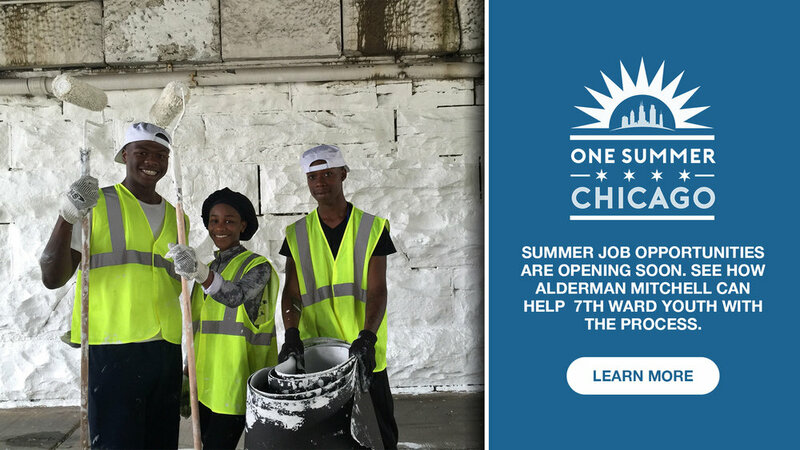 Growing up, Alderman Mitchell understood the value of hard work and community responsibility. Whether shoveling snow, mowing lawns, or carrying groceries for the seniors in the community, he was taught the invaluable lesson that community is built from collective effort towards the common goal. This knowledge helped shape his love and appreciation for his neighborhood. Alderman Mitchell attended Luella Elementary School and later qualified for enrollment at Kenwood Academy High School where he excelled as a student athlete. Continuing his education, Mitchell attended Grambling State University where he earned a Bachelor of Science degree in Accounting with Minors in Finance and Computer Information Systems. Because Mitchell was a high performer, he made the Dean’s List four consecutive years and was selected for a 6 month internship with IBM in Tarrytown, NY. Mitchell was an active participant in the Grambling community including Student Government and was elected by his peers to be Senior Class President and Student Government Association Vice President. He also became a member of Omega Psi Phi Fraternity Incorporated, where he served as the keeper of Finance and President of his Chapter. A well rounded individual, Alderman Mitchell entered corporate America and held various financial positions including Accountant, Auditor, Financial Analyst and Trader. Continuing to feed his thirst for new challenges, Mitchell transitioned into the Information Technology field at the Chicago Mercantile Exchange where he held positions with increasing responsibility – from Technical Support Specialist to Senior Network Engineer and currently IT Manager. As part of his responsibilities, Mitchell is involved in overseeing the IT operations at both domestic and global offices which requires him to conduct business in New York, Ireland, London and Asia. As Alderman Mitchell became more established in his professional career, he focused his attention towards the community that nurtured and greatly contributed to his success – the 7th ward. Volunteering as a little league and high school baseball coach and mentor, he was keenly aware that there was opportunity to “pay it forward”. 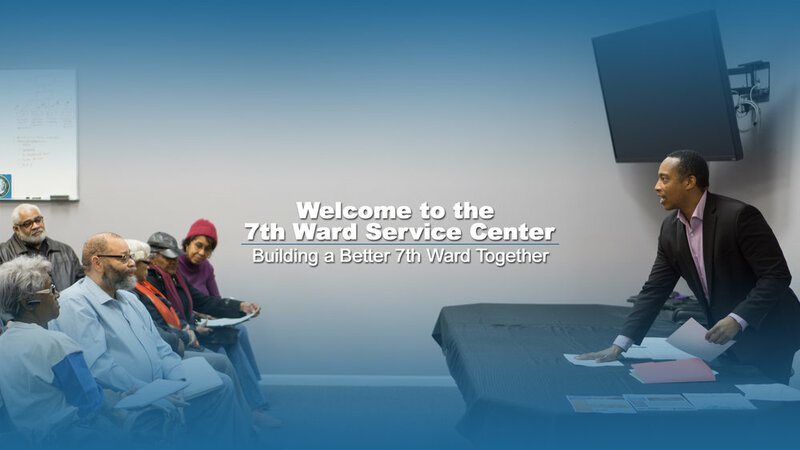 Realizing that there were serious issues impacting the quality of life within the 7th ward that were not being addressed, the direst of them being the lack of vision, leadership and strategies to address the issues, Mitchell assembled a grassroots organization and ran for 7th ward Alderman in 2011 where he finished 3rd, behind the incumbent and a former Alderman. Alderman Greg Mitchell is a strategic, visionary, leader who has the ability to garner support from the community, civic and business leaders to make things happen. He shares the vision of many of his neighbors – safer streets, quality schools and responsible economic development. As a 21st century leader, he is technically sophisticated, business savvy, trained and battle tested to develop the roadmap and execute on the plans that will begin to cure the ills that plague the residents of the 7th ward and improve the overall quality of life. We've curated the following links to help residents find the appropriate city departments to meet your needs. We look forward to serving you. Please fill out this short form and someone from the office will get back to you soon. You can also call, email, or visit the office.